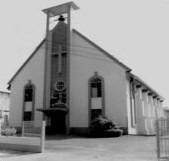 Prior to the construction of the church at its present location in 1929, the church was situated at #16-20 Western Main Road in St. James. The school then called the Murcurapo E.C. School was also at that location. The first confirmation at the Clarence Street Church was performed by Bishop Arthur Anstey in the year 1933. The rector at that time was Cannon John Streetly, who was also responsible for the building of the school in 1939 at its present location. The parish continues to serve the dynamic community of St. James. The community truly reflects the pluralities that make our nation. St. James is a multi-ethnic, multicultural and multi-religious community. The community is the home of steel orchestras as well as tassa groups and celebrates the festivals of Hosay, Christmas, Easter and Divali. The church is an integral part of this diverse community and continues to carry out God’s Mission in this part of His vineyard. We are a people of open hearts and we welcome all people to join us. You will find many ways to grow spiritually through our worship. Above is a perspective of the proposed new building to house the residence of the Parish Priest, the Church Administrative Offices and Commercial Rental Units. This is to be built on the site of the existing rectory. The construction cost is expected to be approximately $6 Million. The Church will be embarking on a number of fund raising activities to help finance the cost of the new building. 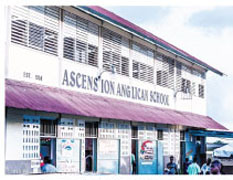 There are two (2) primary schools under the management of the Priest-in-Charge at the St. Agnes Anglican Parish Church. 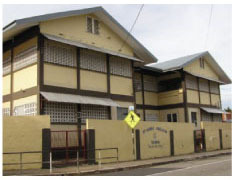 St. Agnes Anglican Primary School and The Ascension Anglican Primary School.